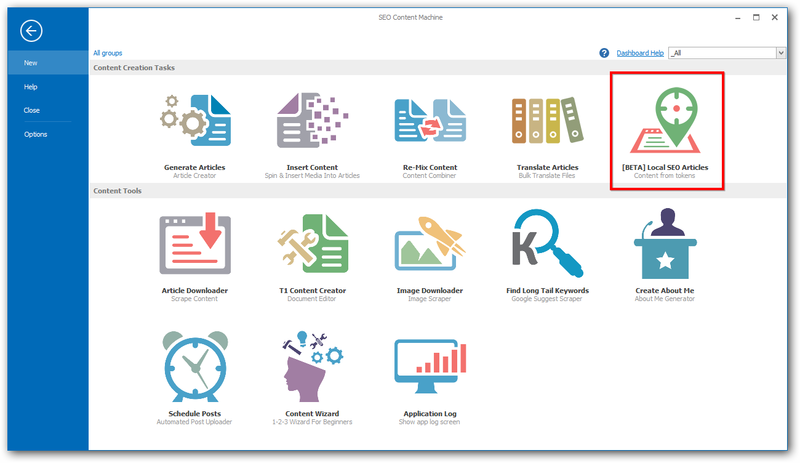 Introducing a new content creation task for SEO Content Machine. 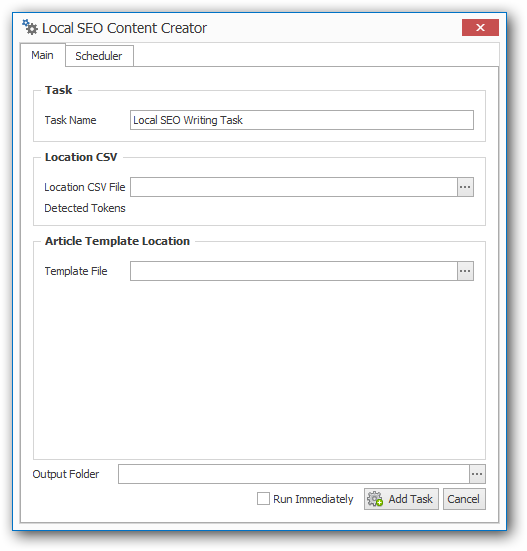 The local SEO writer allows you to create content for local SEO needs. It does this by taking one template article, and reading a list of country-state-town information from a CSV data file to produce 100s of articles with specific geo location information. 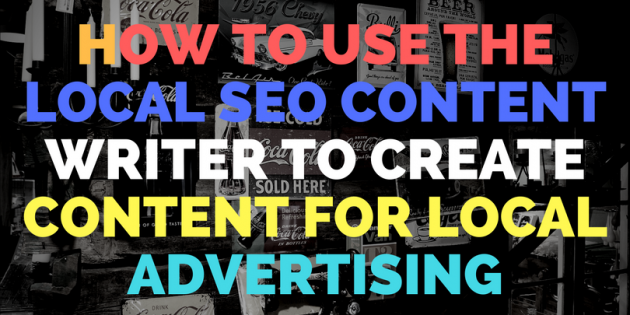 If you ever needed to create 100s of articles by finding and replacing tokens in text with location information, this task will help you achieve this. As this is basically a find and replace using tokens, it can be used for many other things such as merging product descriptions with a generic article template. The new task can be accessed from the main application menu. Once you click on it, it will open a new window. You need 2 things to get started. This is your comma separated value (CSV) file containing data you want to write into a generic article template. The first line of the CSV must include the column headers, which are used to replace tokens in your template file. The column headers map directly to the tokens in your template file. Tokens should be in the format [country]. 2 square brackets with the name of the column in the middle. When you select your CSV file, the window will parse it automatically and display the detected tokens for you. In addition to the CSV data file, you also need the article template file containing your tokens. The task will find the tokens in your template file and replace them with the appropriate line entries in the CSV file. You can use any token name, it will read it from the column headers in your CSV data file.